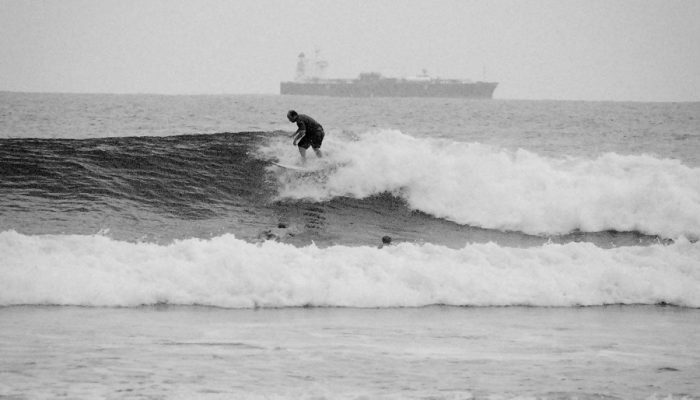 On flat water and in surf, Doviak has a bigger board than you. Steve Doviak has traveled the world in search of the best surf for over twenty years. He got his first taste of surfing on rescue boards as a lifeguard on the beaches of southern Maine and went on to win the Maine lifeguard paddleboard championship. Steve now lives in Cheshire, CT where the lack of good local surf breaks lead to early adoption of stand-up paddling. He has completed the SEA Paddle NYC around Manhattan and on weekends he can be found traveling with his wife and two kids around New England and beyond testing the latest SUP gear on flatwater and in the surf. Steve’s full time job is with Thule Car Racks. He is not involved with any editorial decisions regarding rack testing for the Gear Institute.